The Land Rover Range Rover has never been a car for hippies, thanks to its big, thirsty V8 and considerable girth. Admittedly, there was never a reason to build a fuel-efficient luxury SUV. 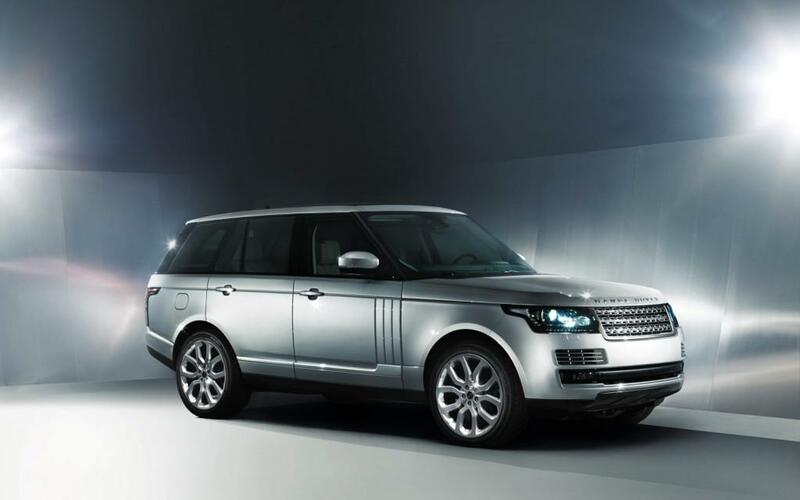 Land Rover is giving it a shot though, with a hybrid Range Rover based on the updated 2013 model. The hybrid will combine Land Rover’s 3.0-liter turbodiesel V6 with an electric motor and 1.7 kWh lithium ion battery pack, which will be housed under the SUV’s floor. Despite the Range Rover’s heavy footprint and blunt aerodynamics, Land Rover says the Range Rover hybrid will do 0 to 60 mph in under seven seconds. The all-important fuel economy number is 45 mpg, on the European cycle, with emissions of 169 g/km of carbon dioxide. While a big SUV with the fuel economy of a small hatchback sounds incredible, keep in mind that cars tend to do better in European testing than EPA testing; Europe also uses Imperial gallons. The Range Rover’s only conceivable competition are luxury SUVs like the Cadillac Escalade Hybrid and Porsche Cayenne S Hybrid, both of which are rated at 21 combined mpg on the EPA cycle. The Range Rover hybrid will have one advantage over all other hybrids, though: it’s a Range Rover. That means unparalleled off-road capability, which should make an interesting test of hybrid technology. A hybrid is very fuel efficient while crawling through city traffic, but what about while crawling through the Amazon rainforest? Unfortunately, this will be a moot point for American buyers. Land Rover will not sell the Range Rover hybrid in North America, because getting its turbodiesel V6 to comply with American regulations would require too many expensive modifications. Americans will have to stick with the gas guzzling 5.0-liter V8, attached to the same eight-speed automatic transmission as the hybrid. However, Land Rover expects significant fuel economy gains for the conventional Range Rover, owing to its new aluminum body and the eight-speed transmission. The current Range Rover is rated at 12 mpg city and 18 mpg highway. The Range Rover may not be the most politically correct car but, with or without a hybrid version, it’s still an impressive piece of kit. People buy these beasts for their luxury, off-road ability, and swagger, not fuel economy. Still, it would be nice to have it all.